If you want a utility to help you monitor your Elasticsearch nodes and clusters, ElasticHQ is a plugin that can give you a nice GUI. Copy the .zip (or .tar) file to your Elasticsearch server. ElasticHQ is meant to give you a read-only view of the system. If you want to make changes, I’d recomment you use Elasticsearch’s REST API. To view a node, enter the URL into the box at the top and click ‘Connect’. If your node is part of a cluster, ElasticHQ will show the cluster’s nodes. 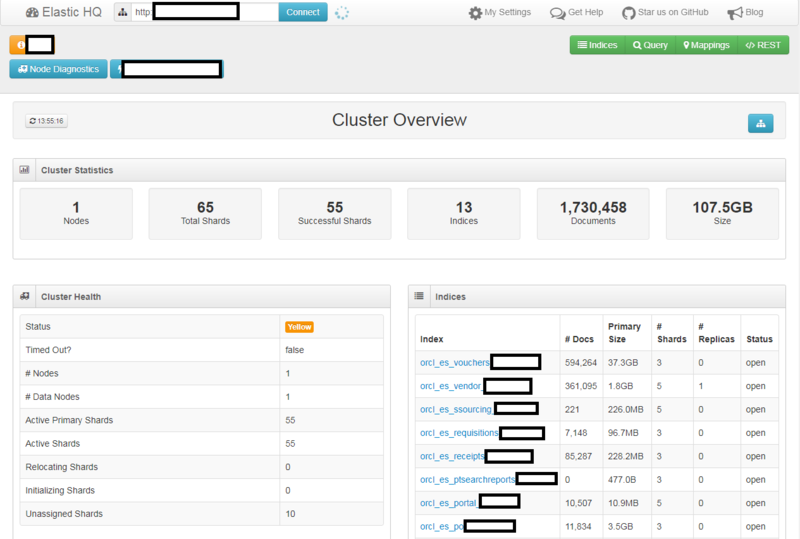 You can view the size of indexes, the stats of each node, and the cluster stats as well.